Designed and Handcrafted by skilled artisans, this state-of-the-art bedroom set is elegantly made for a home doing to be a Royal Palace. The furniture is made keeping in mind the every minute detail and requirements as per the clients. 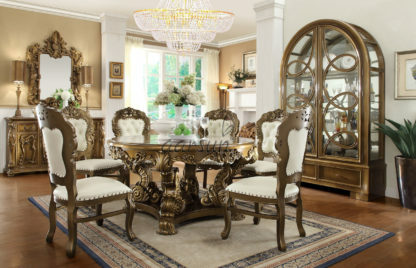 The intricate carvings, the polishing, the finishing and every other thing sets the unit apart from the regular furniture. Teak Wood is used in making every unit for durability and longevity. Teak Wood has natural oils that makes it weather resistant and termite resistant. 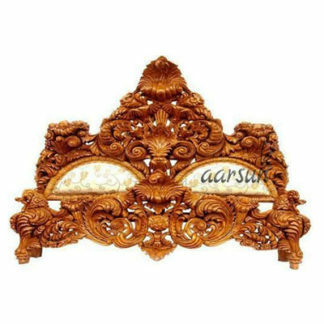 Moreover, Teak Wood is easy to work upon when carving out delicate designs and patterns.